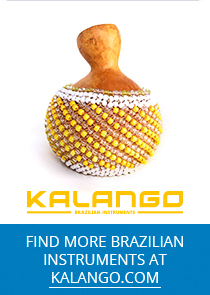 Ideal for Pagode sessions and strong stage sound! Voluminous and high pitched nylon head pandeiro with double hook hardware for strong, clean pandeiro sounds! Ideal for solo players or in any Pagode, the double hooks enable you to pitch up high just like the original Carioca style. 11“ pandeiros naturally come with a topped-up sound due to their larger frame, bigger diameter and the respectively larger head. Crispy slaps and brilliant open tones make it a perfect companion for modern styles like Samba Funk, Embolada or fusion styles with Hip Hop elements, but also the classic Samba sessions will be delighted to have you with this instrument. If you have large hands, an 11“ pandeiro is also worth a thought. YOU WANT TO TOP UP YOUR SOUND? PLAY SHOW SIZE 11"
The new modells come in 10" standard and in 11" show size, ideal if you have large hands or if you like maximum sound when playing on stage. 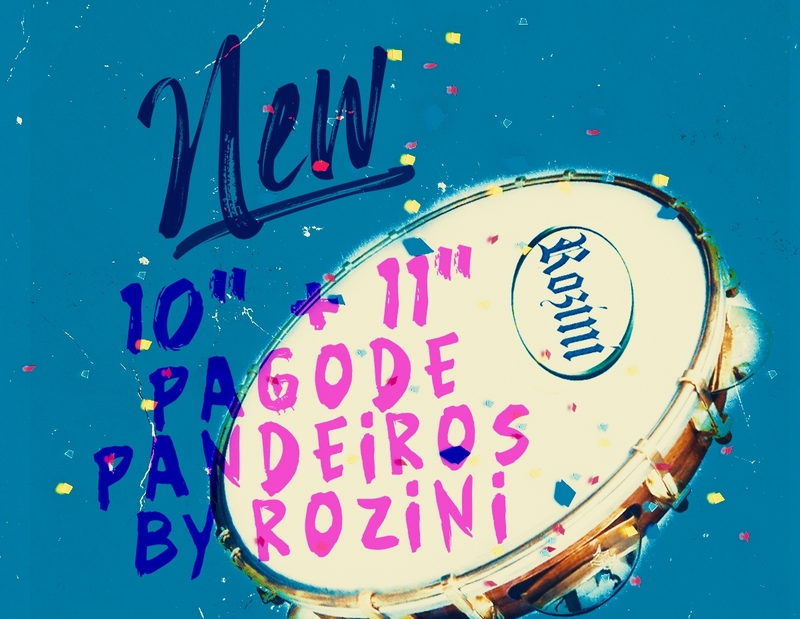 Rozini have earnt their name in the Samba scene by making mainly fine luthier work and building top class wooden string instruments like cavaquinhos, bandolims and Brazilian guitars. Only a few years ago they decided to transfer their knowledge of wood instrument construction to making beautiful percussion instruments of convincing quality and very authentic sound. Evaluation* 10 great! 9 8 7 6 5 4 3 2 1 hmm well.